Macular Degeneration is the leading cause of vision loss in people age 60 and older, with more than 10 million cases diagnosed each year in the United States. This is more than the number of diagnoses of cataracts and glaucoma, combined. 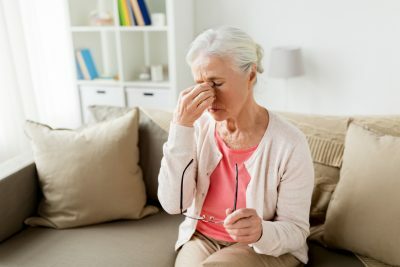 Since many adult patients are being diagnosed with this incurable eye disease, Dr. Mark Roy of Oakland Optometry in Rochester Hills explains what Macular Degeneration is and how he diagnoses and treats this common age-related, vision disease. Macular Degeneration is an age-related condition that impacts the function of your retina. The retina is the inside, back layer of the eye that “records” the images we see and then sends them to the brain via the optic nerve. The central portion of the retina is called the “macula” and it is responsible for focusing central vision in the eye. It helps us do common daily tasks such as read, drive a car, recognize colors and faces and observe the fine details of objects. Macular Degeneration is the deterioration of the macula. As the macula ages, it begins to work improperly causing wavy or blurred vision, and eventually complete loss of the central vision. Individuals with advanced stages of Macular Degeneration are considered to be legally blind. There are two types of Macular Degeneration: “dry” and “wet.” Most patients, approximately 85% to 90%, suffer from dry Macular Degeneration. Only a few, 10% to 15%, suffer from wet Macular Degeneration. Dry Macular Degeneration is a deterioration of the layers of the retina. Over time the layers of the retina get thinner and thinner, and as they change, their function becomes weaker. This process is called atrophy. With dry Macular Degeneration, the formation of drusen on the retina also occurs. Drusen are piles of waste product that are produced by the cells of the eye. Most individuals over the age of 50 have at least one drusen present on their retina. Wet Macular Degeneration only occurs in about 10% to 15% of cases. Typically, dry Macular Degeneration progresses over time to wet Macular Degeneration. Wet Macular Degeneration is marked by the formation of new blood vessels in the choroid layer of the eye. These new blood vessels are weak and they leak fluid, lipids and blood. These fluids can cause the cells of the retina to stop working and form scar tissue in the eye. The exact cause of Macular Degeneration is unknown, but it is clear that the causes are complex and include both environmental and genetic components. Because there is little known about the causes of Macular Degeneration, there have been no effective treatments or cures found for advanced dry macular degeneration. Ongoing research continues exploring new treatment strategies including laser surgery and medications. However, there are steps you can take to reduce your risk of Macular Degeneration and slow its progression once you have been diagnosed with the condition. For instance, lifestyle changes such as a healthy diet, avoiding tobacco use and protecting your eyes from UV light are good steps to take to reduce risk and progression of Macular Degeneration. There are also vitamin supplements and zinc on the market that may help to slow the progression of Macular Degeneration. I Need an Eye Exam From The Best Local Optometrist Near Me in Rochester Hills! For patients that have been diagnosed with Macular Degeneration, it is very important to monitor your disease. This starts with an annual dilated comprehensive eye exam, visual acuity test and fundus photography. Oakland Optometry's own, Dr. Mark Roy in Rochester Hills can help you better understand your diagnosis of Macular Degeneration, and assist you in care as your vision changes. For more information regarding Macular Degeneration, or to make an appointment with Dr. Mark Roy, please call us today at (248) 373-6500.